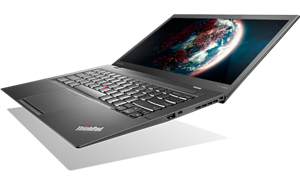 Lenovo ThinkPad X1 Carbon 14" Core i7 Laptop Intel 4550U 8 GB RAM 256 GB SSD BT. 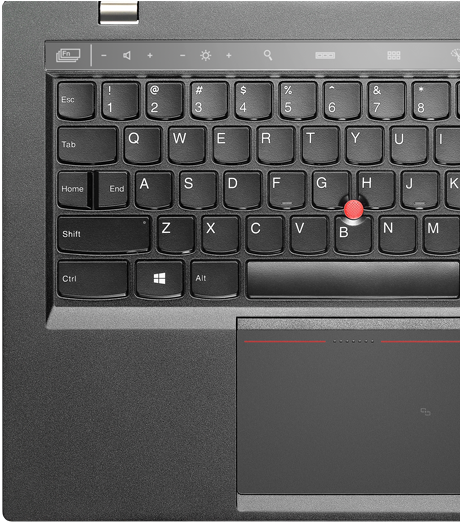 Professional Redefined.New 14" ThinkPad X1 Carbon starts at just 1.28 kg (2.83 lbs), yet it's durable with carbon-fiber construction and packed with premium features like an Adaptive Keyboard that changes automatically with apps, RapidCharge battery technology, a patented cooling system, and a stunning ThinkPad Precision Display. ThinkPad Precision Display (WQHD, 2560 x 1440) and antiglare screen mean text is crisper, images are brighter, and colors are truer. 300 nit with IPS for nearly 180-degrees of wide-screen viewing. Plus it's anti-smudge. Also available with HD+ (1600 x 900) display. 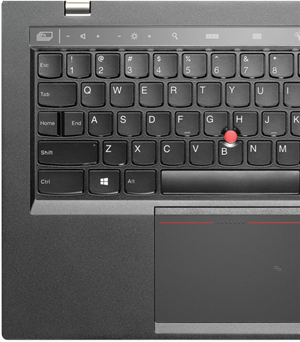 Constructed with satellite-grade carbon fiber, X1 Carbon is the toughest ThinkPad ever made. In fact, we perform eight separate military specification testsall under extreme conditions with dust, vibration, heat, cold, altitude, water, and humidityso you can laugh in the face of spills, drops, heat exposure, or anything else life throws your way. Even with its ultrathin design, the new X1 Carbon stays cooler than ever. In fact, we re-engineered our patented fan bladesso X1 Carbon provides the same cool and quiet performance you expect from a ThinkPad. Starting at just 1.28 kg (2.83 lbs), the new X1 Carbon is the lightest 14" Ultrabook on the planet. 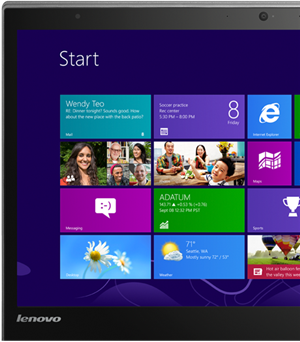 And at just 17.72 mm thin, it's the thinnest ThinkPad ever.